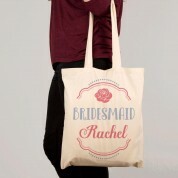 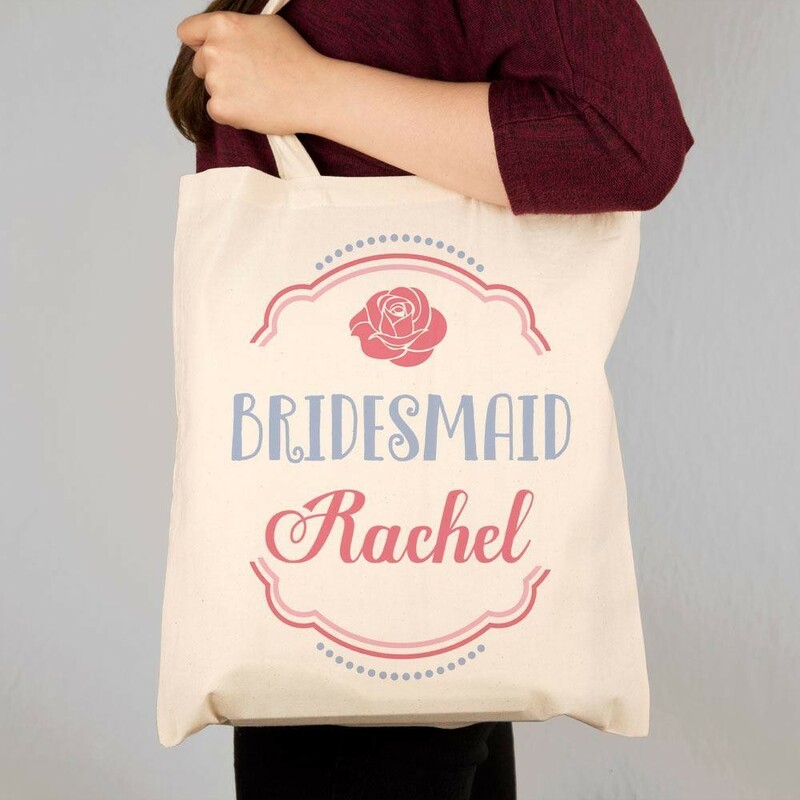 A great gift for any Bridesmaid, whether it's to say a little thank you for all her hard work, or to accompany her to a big hen party weekend! 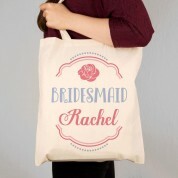 It shows a pretty pink and blue design, with a stylish rose and her name in a cute font. 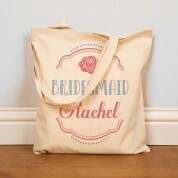 Useful for shopping or storing all those bits and bobs around the house.